The technological fetishism of Strava | theraceforthecafe.com . During my research in to the social world of racing cyclists I quickly realised that social practices were rapidly changing, even as I attempted to reveal them. Transformative technologies (Glotz, Berchie and Locke, 2005) were beginning to have a significant impact, and I was observing the early stages of a process that had the potential to bring about a profound transformation. In my research I used the term transformative technologies to describe technologies which compliment other technologies and can result in change by causing long term impacts on values, power structures and ideas. The term transformative technologies describes, the combined use of GPS enabled devices (Garmin and others) and the uploading of data from those devices to online social media (OSN) locations like Strava. In 1989, well before GPS devices and social media were invented an academic called Trevor Williams did some research on the world of racing cycling. Williams identified three ideological themes that have dominated the sport of road cycling in the last 100 years. 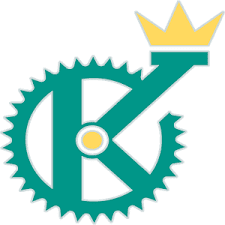 The first theme is individualism, there can only ever be one winner in a bike race (or one KOM holder on Strava). Cycle racing is unusual in that it is an ‘individual team sport’ which leads us to Williams second ideological theme which is collectivism. As most readers are aware the practice of drafting, where each rider is benefiting from the efforts of the rider in front is the basis of any co-operative group, the Sunday club run, chain gang or the peloton or break away in a race. The sociological explanation of collectivism is: a social space between riders in which the informal practice of collaboration in which each rider contributes in turn to the success of the group defines the social space. The third ideological theme identified by Williams is technological fetishism. As long as a 100 years ago cyclists realised that new innovations such as pneumatic tyres, lighter frames and derailleur gears, were so effective they had the effect of de-emphasising physical conditioning, strength and tactical acumen. New technologies made cyclists more comfortable, safer and crucially quicker, and as result improvements were adopted quickly. Technological differences between modern bikes and equipment don’t provide quite the same relative advantages, although they still help. I came across some very recent research the other day which was data from an online survey of 424 cyclists who were asked which types of software and devices (transformative technologies) they incorporated in to their training. You can access the full research here Trainingsoftware Of the 424 respondents 69% used Strava, but only 7% of Strava users (paying and non-paying) used it exclusively, they combined Strava with other tools such as Garmin Connect (59%). This research also revealed that 43% of those questioned used Strava and Garmin and at least one other tool. The most obvious interpretation of these results is that although Strava is clearly very popular it doesn’t appear to completely satisfy the technological fetishism of its users, they look elsewhere for other options. So here is a brief look at some of the latest of those other options. To be clear I am not endorsing or recommending any of the following – I am just describing some of the latest developments. One of the options for really serious Strava game players is provided by MyWindsock Windsock Which describes itself as 'wind visualisation for competitive cyclists’ and provides detailed analysis of your Strava opponents’ performances. Those who are curious about the weather conditions that the performances at the top of Strava leader boards were achieved in can access historical weather data to compare conditions on a particular segment on a particular day. The data available will also help Strava ‘game players’ to prepare for and plan their Strava efforts, is it going to be too windy for deep rim wheels? You can now find out before hand by checking where the crosswinds are going to be on your targeted segments. If you want to add some more detailed and entertaining analysis of your Strava ride data Relive.CC is the place for you Reliveit. Relive.CC has been developed by three cycling friends from the Netherlands. At the end of last year, they went cycling in Tenerife and thought it would be great to capture their training on a video. Relive is brand new and it’s only a couple of months since their first video became reality. You connect your Strava account to the Relive.CC app and when you upload your ride the app will use your gpx file to create a Google Earth-like video file. The video will detail where your highest speed occurred the biggest climb you did and will sync any photos too – apparently. Another way to supplement your Strava use is with KOM Attacker. This is an android app that provides auditory prompts in real time to help you time your effort when you are making an attempt at a specific Strava segment. A voice will tell you when the segment starts, and what the gap to the KOM is in real time, just like a pro receiving instructions through his race radio. The segment will also be displayed on your android phone - you need it mounted on your handlebars to see it of course. The app will record your effort and you can upload the gpx file to Strava. My source for the above information was the Scarlet Fire Cycling site Scarletfire an excellent location created by enthusiastic cyclist Alan Thompson. This is a great resource for anyone who uses Strava or Garmin as there are over 250 well written articles on the site. All of these applications are not only symptoms of the ideology of technological fetishism that has always been present in cycling but also of the increasing gamification of the sport that I talked about in my previous blog post here. Gamification. The effect that gamification can have on racing cyclists’ behaviour and the potential risks of cycling game play were brought in to sharp focus by the death of William ‘Kim’ Flint, who was killed on June 19th 2010 while cycling near the city of Berkeley in California. Flint’s death was as a result of a collision with a car that occurred as he was attempting to regain a downhill KOM on a Strava segment. Flint's family sued Strava for negligence claiming the company had done nothing to ensure the safety of cyclists. In the subsequent court hearing, Flint’s family described him as being ‘obsessed’ with Strava. San Francisco Superior Court judge Marla J. Miller granted judgement in Strava's favour. She reasoned, that despite any pressure he may have felt to re-gain his position at the top of the leaderboard, personal safety should have been Flint’s paramount concern. The tragic death of William Flint, provides a stark illustration of the influence that Strava ‘game play’ and technological fetishism can have on riding behaviour. Just remember folks it’s just a game at the end of the day - it’s not worth dying for. No blog post next week - due to pressure of work ( and I am supposed to be retired !) for the next couple of months I will be posting fortnightly. Just had a final thought - if you use MyWinsock and get the KOM would that entitle you to wear Strava KOM socks? or would that just make you a foot fetishist?